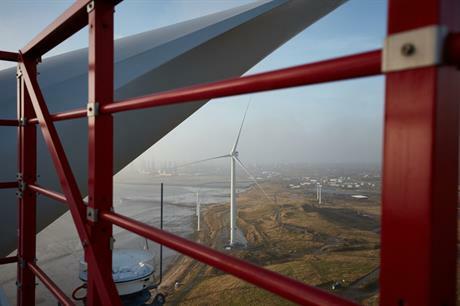 The project owner, British Wind Energy, a subsidiary of the Windreich group, chose the V164-8MW turbine after a competitive tendering process. The deal includes a 15-year full-scope service package. "Being nominated for our second project in Germany underlines the strength of the V164-8MW as a competitive turbine for the market, where distance from the coast and deeper water demands a larger and more powerful machine," said MHI Vestas CEO Jens Tommerup. Installation at the Deutsche Bucht project, located nearly 100 kilometres from shore, is scheduled to start in 2019.